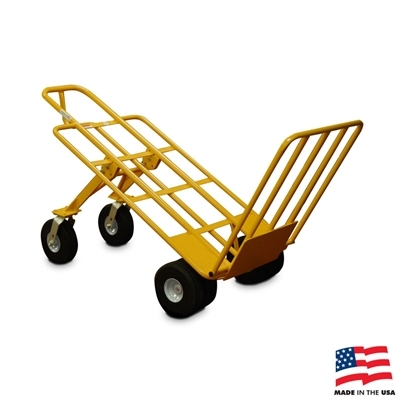 Move Everything, Everywhere, with the Multi Mover line from American Cart! 72 hours! Granite Industries is looking forward to MATRA in Hershey, PA on Monday! The last in the 4 part series previewing 2014 MATRA is here. Moving tents, equipment, and inflatables can be a challenging task. The Multi Mover line is here to solve that problem. 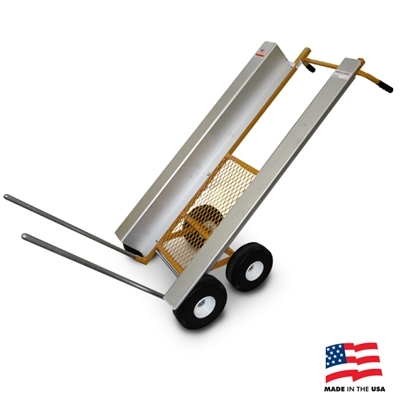 Granite has developed a wide variety of steel hand carts to handle different applications. These hand carts are branded under the American Cart & Equipment name. 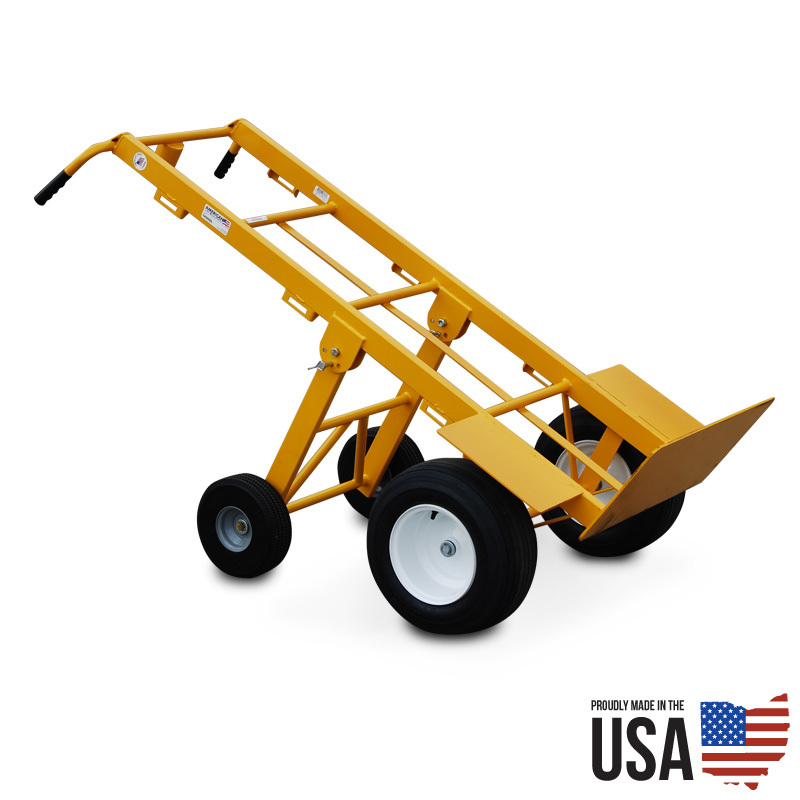 American Cart & Equipment has been a cornerstone of the Granite family since 2003. All carts are designed, manufactured, and assembled in the Ohio Plant by local workers. Now in it’s second version, the standard Multi Mover was the hand truck that started it all. Most customers prefer the optional rear wheels that add better load distribution. 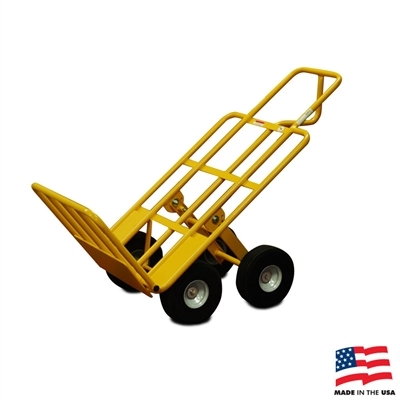 Capable of moving 750 lbs on a robust 25″ W chassis, this cart makes moving over-sized loads simple. No flat tires and a one piece welded frame provide a maintenance free structure. 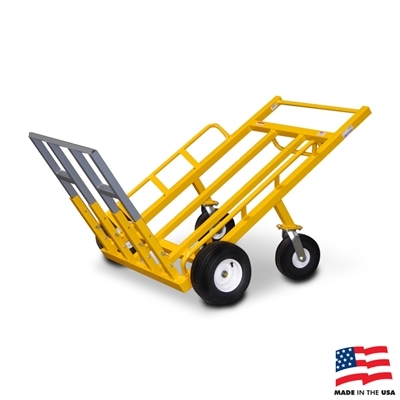 How does American Cart improve on an already great design? Take everything from the standard Multi Mover and make it bigger. Adding an extra 6″ to the width, an extra 13″ to the height creates an even larger platform for carrying over-sized loads. Capable of handling 1,000 lbs the Multi Mover XT is ready for whatever comes it’s way. The Monster Mover is in a class by itself. Capable of handling 1,200 lbs on a huge 35″ W x 60″ H chassis the Monster Mover is truly a beast of a cart. Built by hand in the Ohio Plant, this cart is a quality investment for endless future applications. The Mantis Mover provides a versatile core for moving oversized objects. The 34″ forks adapt to oddly shaped objects. Add on a chair pallet, table pallet or your own personal adaptation to the forks. Capable of moving 750 lbs. Getting stuck is never fun. Getting stuck with a heavy load is even worse. The Mega Hauler goes where most hand carts cannot. Huge 13″ flotation tires keep the Mega Hauler moving forward. It is capable of handling 1,000 lbs.